I wander down the mountain until I find a washed out dirt track to follow. It dumps me on the road six miles from Lakselv. I walk out on the pavement and stare at the same beach I saw ten days ago when Asfrid dropped me off as I hitched toward Mehamn. I remember helping her carry the leftover salmon scraps to the rocks to leave for the sea birds. The first gull had just swooped in when the couple from Switzerland stopped to pick me up. When Asfrid left me off, she mentioned that I should stay with her and her husband Oddbjørn when I walked back through. I didn’t think about it much at that moment, just a faint hope that it would work out, but the thought grew. The initial shock of a trail always catches me unprepared. The decisions, the physical damage, the equipment all slams into your body and mind, throws you off center. Every moment feels like a fight to keep your balance. As the days stretched on, as clouds turned dark, as wind blew me across the tundra, the rest of Europe dropped away and only Lakselv remained. If I could just make it to Asfrid and Oddbjørn I’d have a chance to catch my breath, to wait for my head to stop spinning, to rest for a moment before stepping back into the thick of it. When I touched the road, when I saw that familiar beach, the world tilted into balance again, at least for a moment. 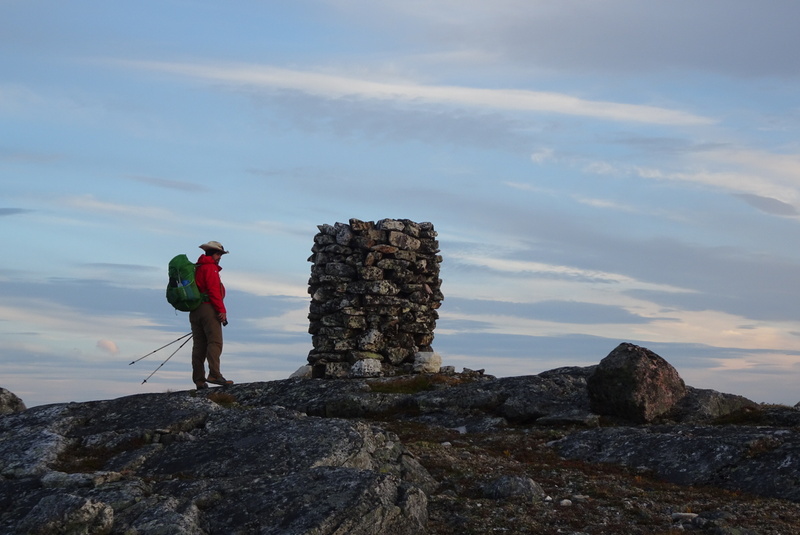 I knew that there was nothing but a bit of pavement between me and Lakselv, that I didn’t have to wonder if there would be rain or where I would camp or anything, that Asfrid and Oddbjørn are there, waiting, and that I will regroup, balance myself, and find a way forward. Posted in Europe North to SouthTagged backpacking, ENS, Europe North to South, featured, hiking, Lakselv, trail angelBookmark the permalink. Lots or Norwegian angels in your path. You seem to draw those angels from all sorts of places in your travels. Met any Vikings yet? Great video of the reindeer. Are you seeing many of them or just small groups of two to three? Most of us who pack or hike do trails…with maps , GPS, or at least signage of some sort, a beginning and an end. It’s quite another thing to set out sensing the way forward, no particular route laid out ahead, not knowing where food will be replenished, not sure where we’ll make camp. There’s no looking toward that warm bed and great restaurant that will be the reward at the end of the trail, the shower, change of clothes, the familiar car seat and whir of the motor taking us home. Balance amidst constant unknowns has to come from inside, in a deep centered place, despite all the different voices also inside us and those many outside as well. To know this need for balance and to know when it is not in your grasp and to know when it is…and how to get there.